For the production of our finished products, we source the raw materials only from the certified and trusted vendors after checking against numerous quality parameters. Our products are specially produces using premium raw materials to ensure they conform to international management systems of quality. 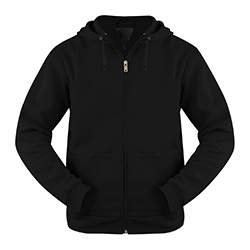 WB-608 Gym Hoodie has excellent sweat absorbency with a smooth zipper closure.